1. M-16 and AK-47 Assault Rifles. Last time we gave these military icons “Honorable Mention,” but there is no way we could exclude them again. Both developed and fielded during the Cold War, the 2 iconic assault rifles provided a stark contrast between the Communist and the Democratic sides of the Cold War. The M-16 has been in US military service since 1964, the longest running tenure as America’s main battle rifle. Over 8 million have been built, and the civilian version, AR-15, is the most popular sporting rifle in the United States among the public. Images of the black plastic stocked rifle became household on television during the Vietnam War. The AK-47 represents a more proletarian approach to a main battle rifle/assault weapon, simpler, more rugged and easier to maintain. A veritable weapon of the masses. In service with the Soviet Red Army since 1949, somewhere between 75 million and 100 million variants have been manufactured, making it the most prolific battle rifle in history. These 2 rifles are highly visible symbols from the Cold War indicating which side a military or police force was on, quickly identifying the benefactor side by which rifle was carried. Both rifles have been built in various configurations, but both are instantly recognizable. 2. 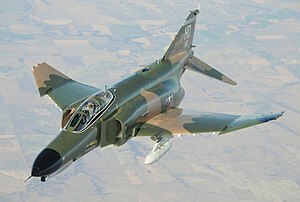 The McDonnel Douglas F-4 Phantom II. This heavyweight speedster was developed to provide the US Navy fleet with long range interception of Soviet bombers. The fastest and quickest climbing plane in the world when introduced in 1960, it was designed with only air-to-air guided missiles in mind in the interceptor role. Its massively powerful twin jet engines allowed the Phantom to carry an enormous bomb load of up to 15,000 pounds, and the jet was adapted for use by the US Marine Corps and the US Air Force as well as the Navy. Over 5000 of these powerful jets were built, instantly recognizable with their oddly sloped wings and tail surfaces. With an empty weight of over 30,000 pounds, the Phantom weighed more than many other jet fighters fully loaded! Adapted to carry all sorts of rockets and bombs, and retrofitted with an internal 20mm cannon, the Phantom was also used in the reconnaissance role. Capable of over 1400 mph and with a ceiling of over 60,000, the fast climbing Phantom could reach 41,000 feet of altitude in an astonishing 1 minute! The Phantom was also deployed by several countries allied with the United States and was the premier fighter jet of the 1960’s until the introduction of the F-15. (And to some extent, the F-14.) The F-4 had a pilot and a Weapon Systems Operator (radar operator) to make the most of its high technology weapons and tracking systems. 3. The Mikoyan and Gurevich MiG-21. The Soviet answer to US speedy jets capable of Mach 2 flight speeds, the MiG-21 was an entirely different approach than the path taken by American aircraft designers. Small, light and nimble, the MiG-21, NATO code name Fishbed, was the personification of the communist world during the Cold War from its introduction in 1959, with 11,496 of the ubiquitous jets built, double the number of F-4 Phantoms made. The MiG-21 has the distinction of being the most produced supersonic jet of all time, and until exceeded by the F-15 and F-16 had the longest production run of any fighter plane in history. Used by numerous communist bloc countries, the MiG-21 was not compromised by any perceived need to have a ground attack or other extraneous capability. It was a short range, light weight interceptor/fighter and that was that. Its dry weight of 12,880 was less than half that of the F-4, its main rival, and even its loaded weight of just under 20,000 pounds was still far less than the dry weight of the F-4! With a familiar delta wing profile, the MiG-21 was also highly recognizable. In many ways the 40th President of the United States was the personification of the Western half of the Cold War. The election of Reagan in 1980 signaled a sort of restart to the Cold War complete with bellicose rhetoric and saber rattling. Reagan sought to develop and field highly expensive and technologically advanced weapons to counter the lead in Soviet numbers of weapons. The MX missile ICBM, the B-1 bomber, the M-1 tank and a US Navy of at least 600 ships were all priorities of Reagan, with an umbrella of Strategic Defense Initiative (aka, “Star Wars”) defense against Soviet nuclear missiles. 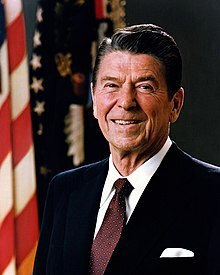 Many analysts have credited Reagan with initiating the arms race that bankrupted the Soviet Union and caused its disintegration. “Mr. Gorbachev tear down this wall!” Perhaps the most iconic American statement during the entire Cold War (referring to the Berlin Wall). 5. RPG anti-armor rocket launcher. No, RPG does NOT stand for “rocket propelled grenade.” This bazooka type device launches an anti-armor rocket that can also be used against helicopters, bunkers, or other vehicles. 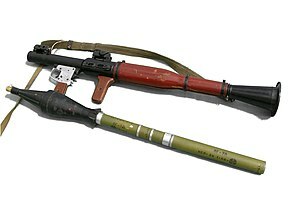 There were actually several varieties of RPG’s made, with the RPG-7 being the most common and recognizable. In fact, over 9 million of these rocket launchers have been built and widely distributed throughout the world. Simple and rugged in the usual Soviet manner, the RPG is easily used by untrained and illiterate peasants as well as highly trained soldiers. The letters “RPG” actually stand for “Ruchnoy Protivotankoviy Granatomyot,” Russian for hand held anti-tank grenade launcher. With a point target range of 330 meters (200 meters more realistic) and an armor piercing capacity of 10 inches (early ammunition) to as much as 20 inches of rolled homogenous armor (latest and best penetrating rounds). Maximum range is 500 meters after which the timer on the warhead blows up. High explosive/fragmentation rounds for anti-personnel use are fielded as are thermobaric warhead rockets. If any one Soviet weapon is considered #2 to the AK-47 as the iconic Soviet weapon, it is the RPG. As immortalized in the 2015 major motion picture, The Bridge of Spies, the title refers to the Glienicke Bridge over the Havel River in Germany, connecting Berlin and Potsdam. Used as the exchange point for American U-2 pilot Francis Gary Powers and Soviet spy Rudolf Abel, the Glienicke Bridge was used in several spy exchanges between the Soviets and the Western Allies. The typical scene of two opposing sides stopping some distance apart on a bridge while the persons to be exchanged walk over to their respective side, passing in the middle with great tension in the air is not just a movie inspired fictional event, but a real life Cold War event that happened again and again. The Soviets as the first communist country pioneered what it meant to be communists, and their symbol of a red star became the de facto symbol of the communist world. Other communist countries such as China (known during the Cold War as “Red China”), North Vietnam (now just Vietnam) and others incorporated their versions of the red star (including a gold star on a red background) into identifying marks for their military equipment and/or their national flag. Communist countries throughout the world used some form of the red star on their national crests, logos and flags, including European, African, and Asian countries, as well as Cuba (white star on red background). 8. NATO and the Warsaw Pact. The United States initiated the North Atlantic Treaty Organization in 1949 to guarantee the sovereignty of European countries in the face of a perceived threat of invasion by the Soviet Union. After World War II, the Allies quickly became not so friendly with each other, the Soviets scarfing up as much of Europe as possible and occupying those countries as vassal “satellite” states. Germany was split in 2, one half a democracy in the Western sphere of influence and the other half a Soviet client state. The treaty provided for the common defense of NATO countries against Soviet aggression and was countered by the Soviet creation of the Warsaw Pact treaty in 1955, an organization of Eastern Bloc Soviet client states allied against the Western democracies of NATO. Both organizations provided military organization to the collective forces of the signatory countries and the 2 sides faced off against each other for the duration of the Cold War until the Warsaw Pact was disbanded in 1991 with the dissolution of the Soviet Union. NATO survives today and has added several additional members, this time largely as a response to perceived threats from Russia, but also as a military alliance against any other outside threats to member countries, including terrorism. 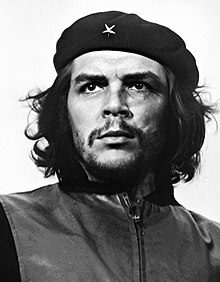 Sure, other Communist rebels and revolutionaries achieved fame and had more success than Che Guevera, but the Albert Korda photo (1960) of this misguided commie is so iconic and so widespread that you can find kids wearing T-shirts and sweatshirts with his image on them, kids that do not even know who he was. Born in Bolivia, Che visited many South American countries and was touched by the poverty and unequal sharing of resources. Che became involved in politics and revolutionary movements in several countries and was a buddy of Cuban Communist dictator Fidel Castro. This physician turned activist was finally caught with the help of the CIA in 1967 and executed by firing squad in Bolivia, the land of his birth. He was only 39 years old when he died. 10. Fairchild Republic A-10 Thunderbolt II. Designed with only one purpose in mind, to stem the flood of Soviet tanks as they poured through the Fulda gap into Western Europe when World War III started. The Soviets had a huge advantage in numbers of tanks and armored vehicles (over 50,000 tanks to about 11,000 for the US) and the US (with her NATO allies) would have to stop these massed armor attacks somehow. The A-10 was built to be simple, rugged, and lethal. Without night time or all-weather capability, but heavily armored with titanium plates, redundant control systems, and engines placed outside the fuselage where the destruction of one would not mean the destruction of the other, the A-10 was built to take more hits than any other plane in history. Built around an enormous 30mm Gatling gun (GAU-8 “Avenger” rotary cannon) that fired armor piercing depleted Uranium projectiles, the A-10 and its mighty gun could stitch through Soviet tanks like a sewing machine through cloth (as proved in first Gulf War in 1991). The A-10 could also carry 16,000 pounds of bombs and rockets. Affectionately called The Warthog, the Soviets tried to make a copy of the A-10 called the Su-25 (NATO codenamed Frogfoot) and actually built more (1000) of them than the production run of 716 A-10’s. With its straight wings and twin jet engines above the tail end of the fuselage between the vertical stabilizers, the A-10 has an unmistakable appearance unlike any other modern jet combat aircraft making it an instantly recognizable icon of the Cold War. In later years all weather and night capabilities were added as were the use of guided bombs. Otfinoski, Steven. The Cold War (A Step into History). Childrens Press, 2018. Next Article June 24, 1947: What Was the First UFO Sighting in the United States?